With over 25 years of experience advising clients on bankruptcy issues, attorney Joel R. Spivack understands how overwhelming it can be to navigate through bankruptcy laws, tax codes and various debts. 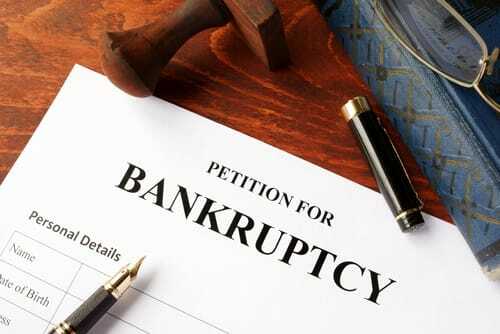 He has advised numerous clients on Chapter 13 bankruptcy, which is often referred to as a wage earner’s plan. This income-based plan allows individuals with a steady income to repay all or part of their debts, and it lasts an average of three to five years. It’s important to recognize the differences between priority and nonpriority tax debts to understand how much of your tax debt you will be required to repay. Priority tax debts must be paid in full, but payments are not due immediately and can be spread out in a repayment plan. The IRS must accept the payment plan agreed upon in bankruptcy court because the court’s decision overrules the tax agency’s authority. Priority tax debts include recent property taxes, tax liens, erroneous tax refunds and certain employment taxes. Nonpriority tax debts, on the other hand, are usually consolidated with your other unsecured debt. This means you will only need to repay a portion of this debt after all priority debts are paid. To be considered a nonpriority, unsecured debt, the tax debt must be for income taxes, due at least three years ago, assessed at least 240 days ago and made at least two years ago. You also must prove that you did not willfully evade the tax debt or commit fraud. If you are considering filing a petition for Chapter 13 bankruptcy, then you should strongly consider hiring a knowledgeable attorney that will protect your interests, advise you on the various aspects involved in repayment and reduce your exposure to risk. Bankruptcy is an extremely difficult period of time for many different reasons, and you shouldn’t fight this battle alone. Contact the Law Office of Joel R. Spivack today at 856-861-6203.